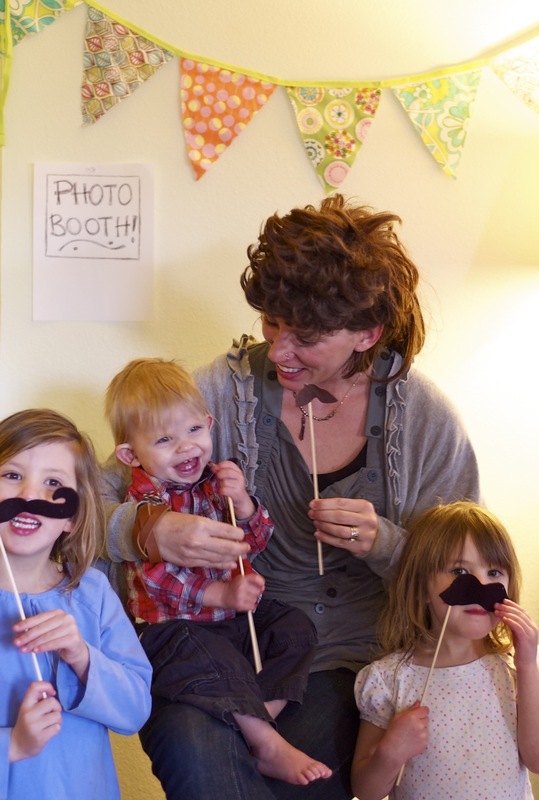 Here are a few shots from a surprise party we hosted on Sunday. The lighting in our house is awful ((we don't have any overhead lighting in the living room, just lamps. womp womp)) but we set up a photo booth anyways. I made some mustache sticks & hung up some bunting. You can blame give credit to my friend, crystal, for the wig. This looks SO CUTE! 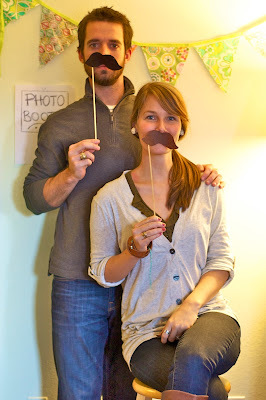 I love the idea of setting up a little photo booth at a party. kim! 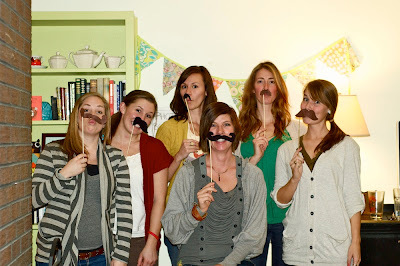 loved these pics - such a cute party, mustaches and bunting flags and all!! the mustaches are so awesome! So fun!!!! What a great memory you made for Michelle! You're a good friend! Oh my gosh Kim, so adorable! these are so fun!! you are too much, making a photobooth station, complete with mustache sticks & bunting! you are going to be much a fun mommma. I think my favorite is the Dady family photo. Hilarious and holy smokes do I miss you ladies. I am so jealous of you getting to celebrate my bestie's burfday with her! Thank you for taking care of her!!! This is too darling! What fun! 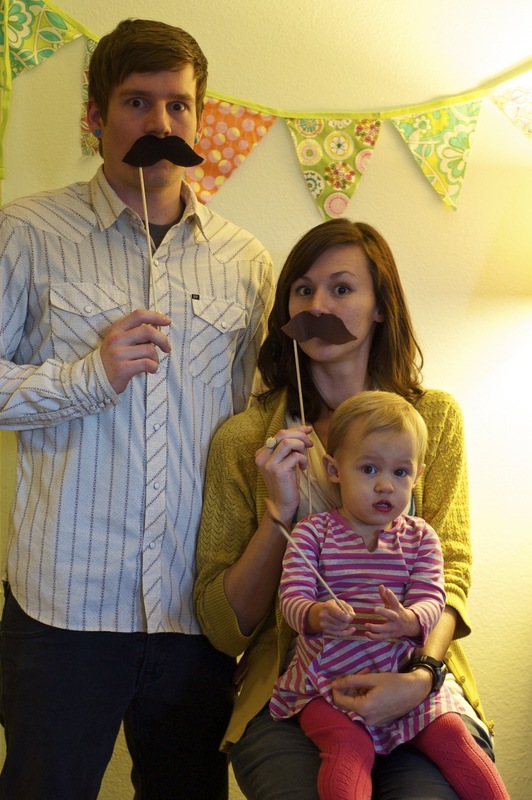 love the mustaches. i always wanted to do those as wedding favors.